Here's a restaurant on the island with an interesting name. 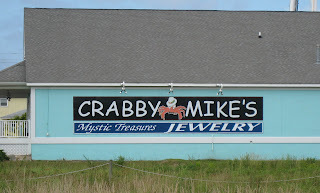 Obviously it feeds into the seaside motif you find everywhere, but apparently "crabby" also refers to a disposition. I just hope the name of the place doesn't explain the itching I've been experiencing after having eaten there. Actually, their food is pretty good.